Prashna is the branch of astrology that deals with answering a question based on the moment of the question, it is called Horary Astrology in the west. 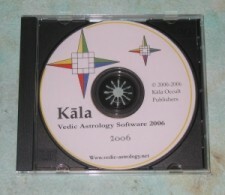 Kala has has a special Prashna Module that is unique in that is has the many special Jyotish Prashna calculations necessary for doing deep Prashna work (calculations from such famous texts such as Prashna Marga). 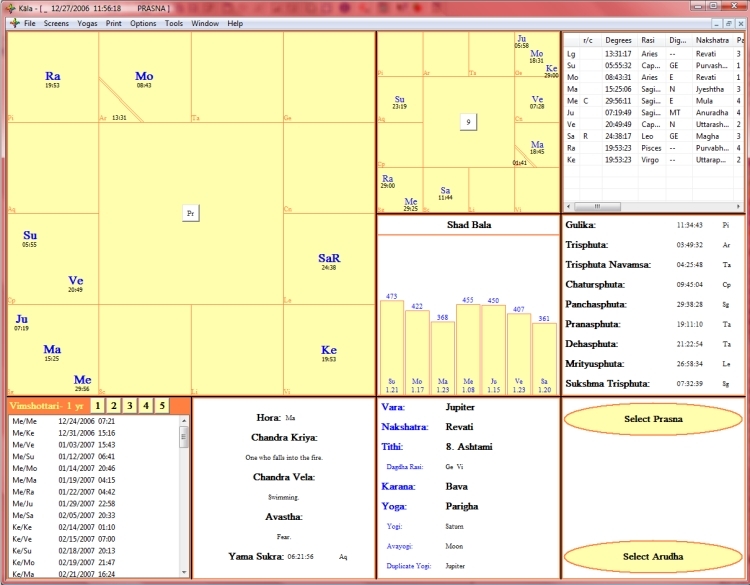 Special Prashna points such as Arudha, Chattira Rasi, Trisphuta, and other such calculations are included, making Kala the best of Prashna Software. There is even a diagram for selecting the Arudha. The best part of the Prashna Module is that it is a complete Prashna learning center. After casting the chart, you can select the type of question from the Prashna menu and Kala will search through the horoscope, finding all pertinent Prashna Yogas in the chart. This allows you to learn authentic Prashna directly from the software, while working out the answers to questions. Text is generated from twelve of the most important Sanskrit Prashna texts.